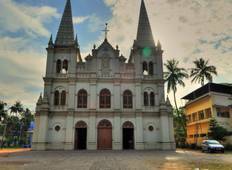 Find the right tour for you through Periyar. We've got 35 tours going to Periyar, starting from just 6 days in length, and the longest tour is 24 days. The most popular month to go is November, which has the most number of tour departures. "Traveled in January this year with World travel experiences team. Just one word that..."
"The tour was amazing.All guides were great.All hotels were excellent.Staying at houseboat..."
"It was an excellent tour. We had a wonderful time. 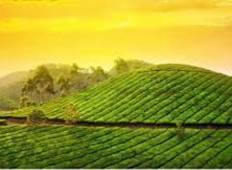 It covers all major sights of..."
"HolidaysAt provide my tour services to Kerala, amazing views and comfortable hotels...."
"We had a amzing 7 days tour of Kerala. I would recommend using YatraExotic, my whole..."
"We told Bithi where we wanted to go and she booked us some very good hotels. Wherever..."
"The company was efficient and professional in planning a three week tour with driver...."
"On behalf of all my family who have just returned from our Holiday in India with..."
"Travelling Southern India with SIJ was a great experience. We loved the itinerary.It..."
"The tour was very well organised. Accommodations were excellent with spacious rooms...."